Velvet is a fantastic way to introduce some opulence to your interiors and is set to be big for 2019. Dark velvet sofas add drama whereas pastel velvets in the bedroom create a luxurious yet whimsical feeling. Combined with brass, velvet creates a luxe look. 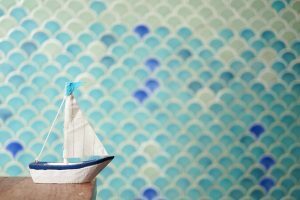 That mythical creature, the mermaid, has become immensely popular in recent times and fish scale tiles are tipped to be huge in 2019. Scalloped edges on furniture tie into the marine-theme and feature on various items, from headboards to armchairs, often in the fabric of the moment, velvet. 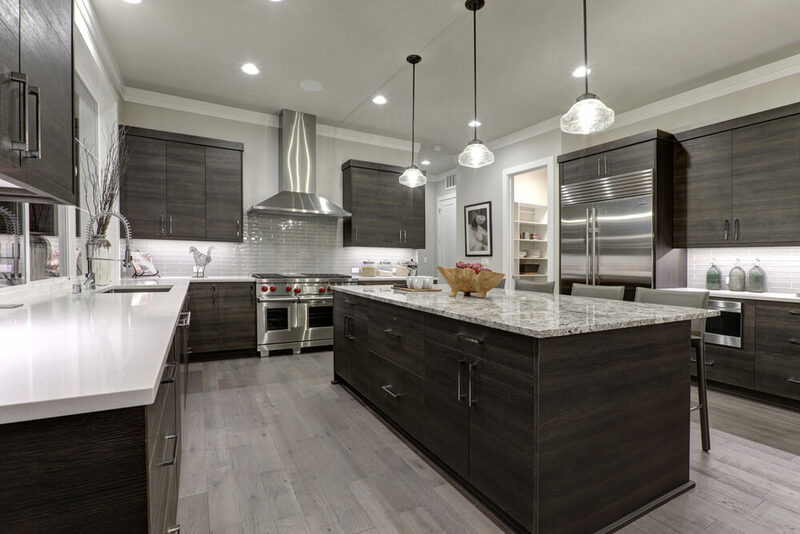 Trends like Scandi Noir have led to a rise in popularity of dark kitchens. Black and navy cabinets are enjoying their moment and this trend is set to continue, creating a striking feature at the heart of the home and offering an antidote to gloss-white. Crittall-style windows take their name from the manufacturing company based in Essex. These stylish steel-framed windows are fast becoming a popular way to divide interior spaces, in addition to their more conventional use. Traditionally found in loft-style apartments such as the one pictured, they epitomise industrial-chic. 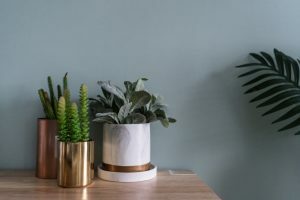 Natural materials such as stone, copper and granite will continue to be popular into 2019. As the backlash against plastic continues, natural, sustainable materials like cork are gaining popularity. 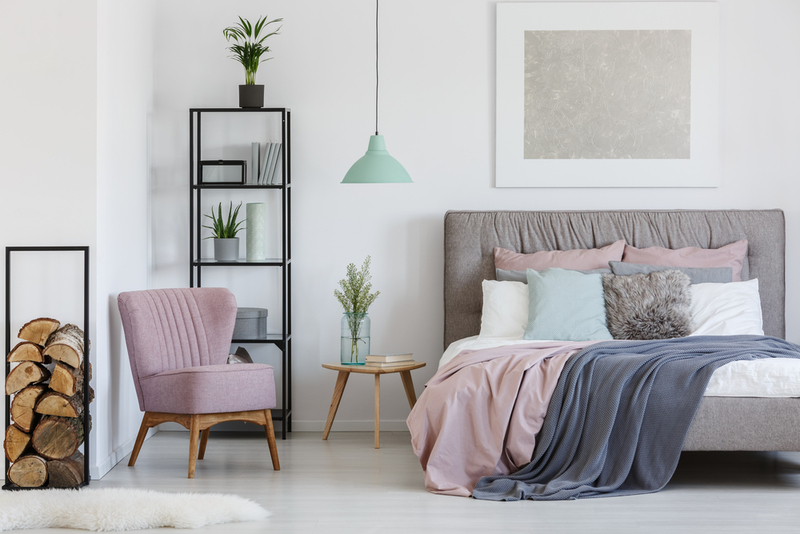 Where rose gold has featured as the metal du jour over the past couple of years, copper and brass accents are set to take over in 2019. Brass or copper taps add a striking contrast in bathrooms made of concrete (another key trend) or marble, or try adding some copper accessories around the home. Tassels, fringing and pompoms have been fashionable for a while now and continue to adorn soft furnishings in 2019. 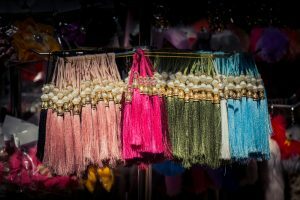 Also known as Passementerie, embellished items can be found all over the high street or raid your local haberdasher’s and personalise your own. Follow us on Pinterest for more interiors inspiration.